• I always externalize the eating disorder and teach my patients to do the same. 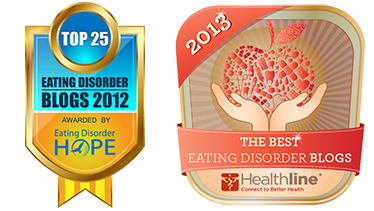 • I firmly believe that patients do not choose eating disorders and that parents do not cause them. I make this point explicitly to patients and their families at the start of treatment and as many times as necessary throughout the course of treatment. 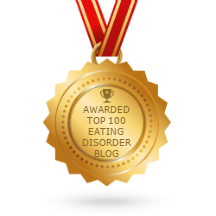 • I explanation the etiology of eating disorders as follows: We don’t know definitively what causes eating disorders, and for the purposes of this treatment, the cause isn’t terribly important right now. The most recent scientific research suggests that eating disorders are biologically-based, genetically-transmitted mental illnesses which are triggered by an energy imbalance (for example, through dieting) and perpetuated by malnutrition, with emotional stress (e.g., anxiety, OCD, depression) as an aggravating factor. I mention all of the common myths about the causes of eating disorders (e.g., the media, fear of growing up, need for control, overbearing parents) and dispute each one of them. • At the start of treatment, I provide patients with psycho-education about the central role of full nutrition, weight restoration, and cessation of binge/purge behaviors in recovery. • Whenever possible, I involve family members (parents, siblings, spouses, girlfriends, boyfriends) in the patient’s treatment to some extent. In some cases, family involvement may be as simple as providing family members with psycho-education, literature, and internet resources on eating disorders. In other cases, family members may participate in the evaluation or attend some therapy sessions with the patient. Regardless of the patient’s age, I like to empower those who live with her (parents, spouses, significant others) to provide meal support and help stop other symptoms such as excessive exercise, bingeing, and purging. • I view family members as essential members of the treatment team who can provide nutritional, practical, and emotional support to the patient as she recovers. • I make physical health (including full nutrition, weight restoration, elimination of purging and other unhealthy behaviors) the most immediate priority in treatment. • I help patients re-learn how to eat properly on their own once they are physically healthy and psychologically prepared to assume this responsibility. 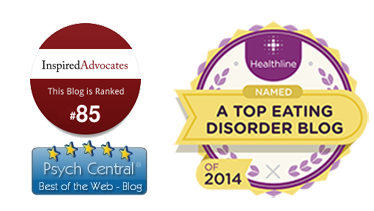 • I treat patients’ other disorders (e.g., depression, OCD, anxiety) and address their developmental, familial, and interpersonal issues after physical health has been achieved. In my view, these principles are equally applicable for children, adolescents, college students, and adults. They apply when I am doing individual therapy using a CBT, DBT, ACT, or IPT approach. They apply when I am doing couple’s therapy when one partner has an eating disorder. And, of course, they apply when I am doing Maudsley Family-Based Therapy. These principles are a central part of my professional identity. I stand behind them when I am giving a lecture, doing a presentation, conversing with colleagues, speaking to potential clients, talking about work with family and friends, or even answering the questions of acquaintances who are interested in what I do. To date, the Maudsley approach has only been empirically-supported for adolescents with anorexia nervosa and bulimia nervosa. However, preliminary data suggest that Maudsley may be equally effective for pre-adolescent children and young adults. Regardless of what the eventual published data may say about broader applications of Maudsley, I will hold fast to these principles. At least until science or experience convinces me otherwise. This entry was posted on Friday, August 14th, 2009 at 3:50 pm	and is filed under Biologically-Based Mental Illness, Eating Disorders, Maudsley Approach, Psychotherapy. You can follow any responses to this entry through the RSS 2.0 feed. Both comments and pings are currently closed. Anorexia nervosa is a common eating disorder that usually begins at the age of fourteen or fifteen, with another peak in incidence in eighteen year olds. It is not known what causes eating disorders, but it does seem to be associated with certain genetic attributes and it is more common in children who have a first-degree relative with an eating disorder.